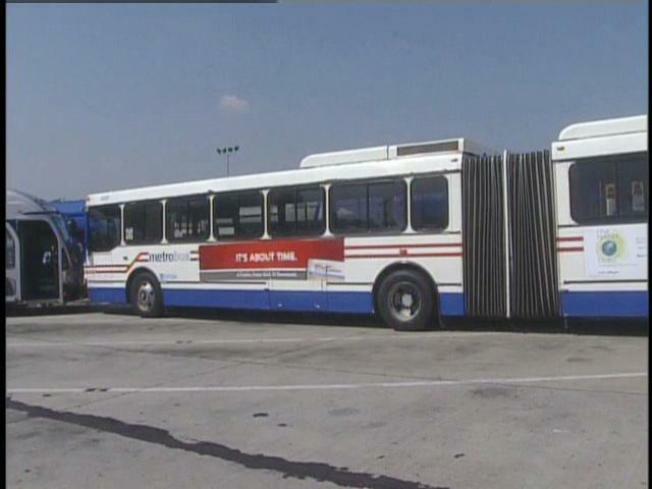 Commuters who take buses serving 16th Street and Georgia Avenue will be seeing more of the articulated models in August in an effort to relieve crowding in those areas. Metro announced Thursday that it will add more of the longer buses Aug. 25 to the S1, S2, S4 and 70 routes. These routes are popular among commuters, and the added capacity could make the journey less congested -- and more comfortable. Metro said the new vehicles offer 55 percent more seating. The announcement states that, "Metro will increase the number of trips operated [on the S1, S2 and S4 routes] with articulated buses by 45 percent -- from 68 trips during rush hour today to 99 trips." This will mean that during rush hour, five bus trips every hour will be converted from the standard 40 foot buses to the longer 60 foot articulated vehicles on those routes. The 70 route will see the number of articulated buses nearly double, but not just during rush hour. Metro said this will mean five more trips will be with the longer vehicles every hour, throughout the day. The extra articulated models will be furnished from the Y Line, which metro said will be converted to standard buses, with service increasing from every 15 minutes to every 10 minutes during rush hour. "We are pleased to be able to find an innovative way to shift more longer buses to these busy corridors," said Metro Assistant General Manager for Bus Service Jack Requa in Metro's news release. "We will continue to work with our partners to meet future ridership growth."